Waterford rookie Kevin Phelan is the new touring professional for Jack Nicklaus gem Mount Juliet. The 23-year-old, who clinched the best finish of his European Tour career in South Africa on Sunday, will sport the Kilkenny resort’s logo on his golf bag. The WGC - American Express Golf Championship was held at Mount Juliet in 2002 and 2004, in addition to three successive Irish Opens from 1993. The resort also boasts a luxurious hotel and spa, while its Lady Helen restaurant was awarded a Michelin Star last September. Phelan has enjoyed a superb 12 months, making the cut at the US Open while still an amateur before winning two points out of three for Great Britain & Ireland at the Walker Cup. Having turned professional at the KLM Open in September, the University of North Florida Psychology major earned his card at Qualifying School in November and finished 24th at the Alfred Dunhill Championship – his first tournament as a card-carrying professional. Phelan also has sponsorship deals with O'Callaghan Hotels, FL Partners, Oakley and Titleist. Kevin Phelan has packed just about everything into his first 18 months as professional bar a win. But given his progress since he took the plunge after the 2013 Walker Cup, the touring professional for Mount Juliet will soon be one of Ireland’s established tour stars. The downturn was tough for big resorts such as spectacular Mount Juliet in Co Kilkenny but things are changing at the Jack Nicklaus designed track which has taken on Waterford native Kevin Phelan as its touring professional. Waterford rookie Kevin Phelan has landed a sponsorship deal with the same company that first backed Rory McIlroy - Dublin-based investment boutique, FL Partners. 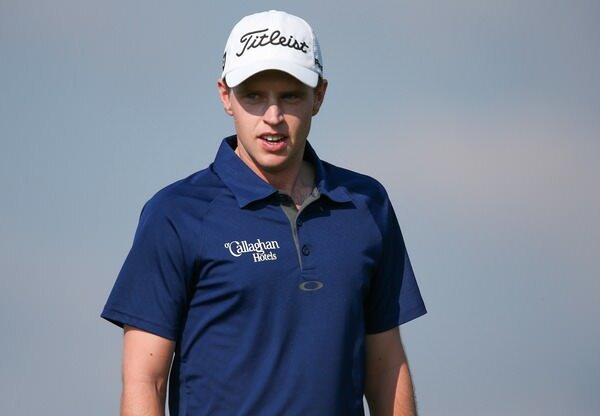 Waterford rookie Kevin Phelan was just two shots behind clubhouse leader Simon Dyson when play was suspended in the Tshwane Open in South Africa. Hoey and Phelan must reel in "Fish"
Ross Fisher might be five shots ahead of Michael Hoey but many Irish eyes will be fixed on Waterford rookie Kevin Phelan and his bid to take a giant step towards retaining his card at the Tshwane Open.